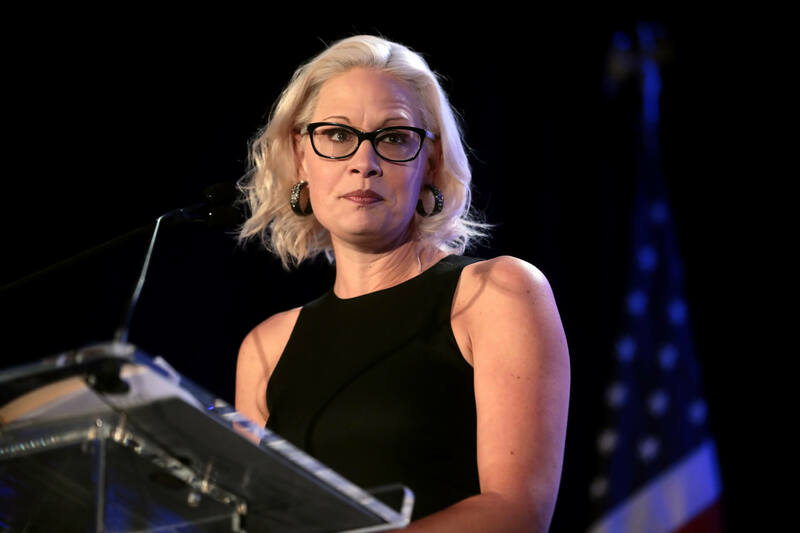 WASHINGTON – Arizona Sen. Kyrsten Sinema was one of three Democrats who sided with President Donald Trump and Senate Republicans in confirming David Bernhardt, a former lobbyist and George W. Bush administration official, to become the next U.S. Interior Secretary. The nomination was approved by a vote of 56-41, largely along party lines. Sinema, Joe Manchin of West Virginia and Martin Heinrich of New Mexico voted for his confirmation, as did Angus King of Maine, an independent who caucuses with Democrats. Sinema issued a statement this week explaining her decision to break with her party to support Trump’s nominee. “After meeting with Mr. Bernhardt and carefully considering his nomination, I am confident he is professionally qualified, believes in the mission of the Interior Department, and will faithfully uphold the law,” she said. Republican Sen. Martha McSally also voted in favor of Bernhardt. Bernhardt will now take the reins of an agency that manages 70,000 employees and 500 million acres of federal land – about one-fifth of the land in the United States. He’s one of the more controversial figures in the Trump administration; his critics accuse him of minimizing environmental concerns in favor of pushing the president’s “energy dominance” agenda. Florida Republican Sen. Marco Rubio, who – along with other state lawmakers – expressed concern about reports that Interior is planning to pursue drilling off Florida’s coast, voted to confirm Bernhardt. Disgusted, feeling betrayed and sorry for weeks of pushing past my pain to help this fake Democrat win our state’s Senate seat! She had my vote but she’s been a disappoint so far. Bummer. Boy, I hear you, Bonnie. Sinema is really just about worthless much of the time. We were warned that Sinema was a “blue dog Democrat” when she was in the State Legislature. This is just more proof of that. Kyrsten this is not what the citizens of AZ worked tirelessly for! Not at all surprised. Didn’t support her in the primary. Wanted a real Democrat. Figured she was slightly better than McSally in the general. Another person put into power that will continue the destruction of the US . In a couple more years we will all be saying “remember how there used to be lush forests and clear streams filled with wildlife?” Soon it will be all gone because of people like this man who could careless about the health and beauty of the land. He just sees profits. Why doesn’t she just switch parties? At least read a bit on Mo Udall if you want to understand how to legislate the environment. With Democrats like these, we don’t need Republicans. Shame on the Arizona Democrats for supporting her. We have to tell her, this is unacceptable. If she doesn’t change perspectives, she will be a one term wonder. Aaaaand he’s already under investigation. Thanks, Krysten, for your rubber stamp on corruption. Arizona Democratic Party, what do you say about Ms. Sinema’s vote?! You may have issued a statement about it, and if you did, please share it with all of us, especially Arizona Democrats.